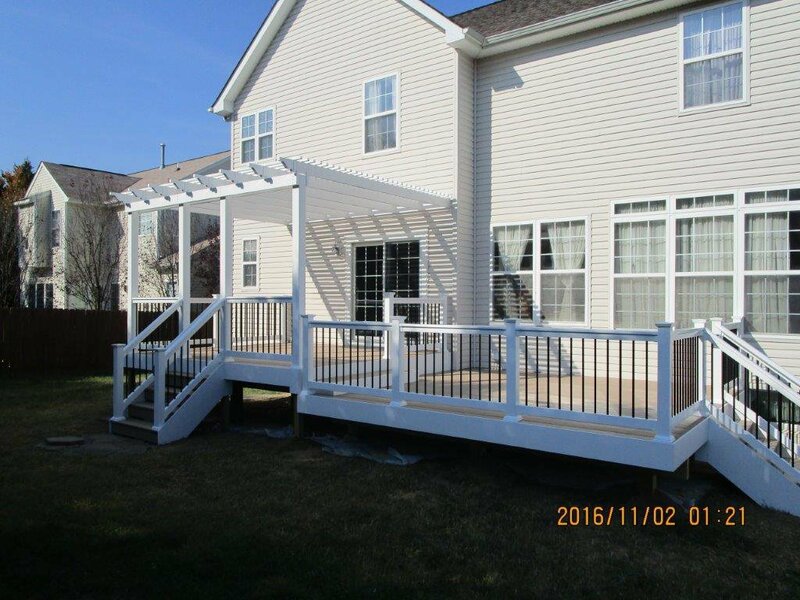 We design and build custom decks using wood and composite decking materials of all kinds, including Trex, Azek and Evergrain as well as resurfacing wood decks and repairing or upgrading existing decks with maintenance free composite flooring and vinyl railing upgrades. Or enclose a portion of your deck for a functional screened porch or 3 season room! We also have custom designs for pergolas, benches and planter boxes. All permits and HOA Submissions provided. Fully licensed and insured. BBB Accredited.